Shopping is one of the most detrimental activities for the planet. All new items require new materials - trees from forests, minerals mined from the earth, cotton grown from high intensity agriculture - coupled with large amounts of energy, water and waste. (Watch The Story of Stuff for more information.) 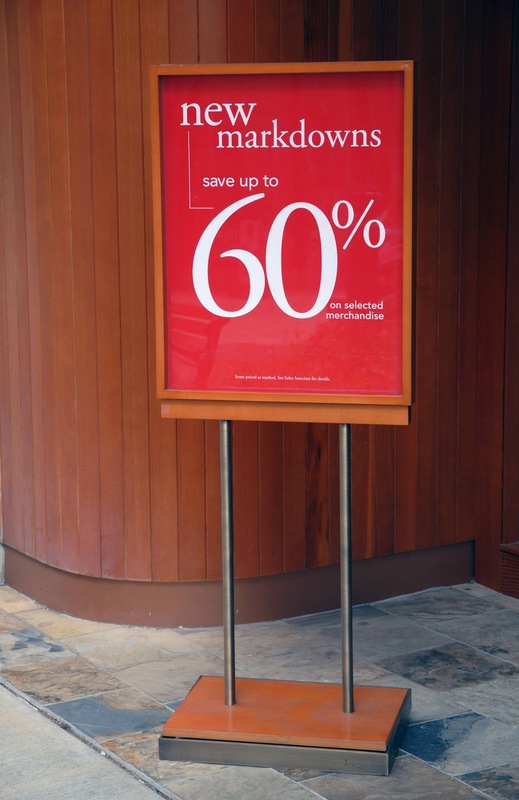 Indeed, "shopping habits represent such a large part of greenhouse gas emissions that even if every household switched to renewable energy and stopped driving cars tomorrow, total household emissions would fall by less than 20 percent." Even "sustainably produced" items aren't all that much better. 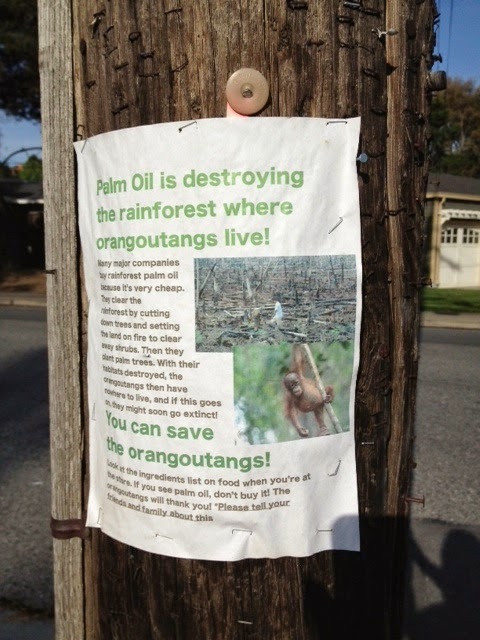 Forests are cleared in the Amazon for our "organic cane sugar" from Whole Foods. 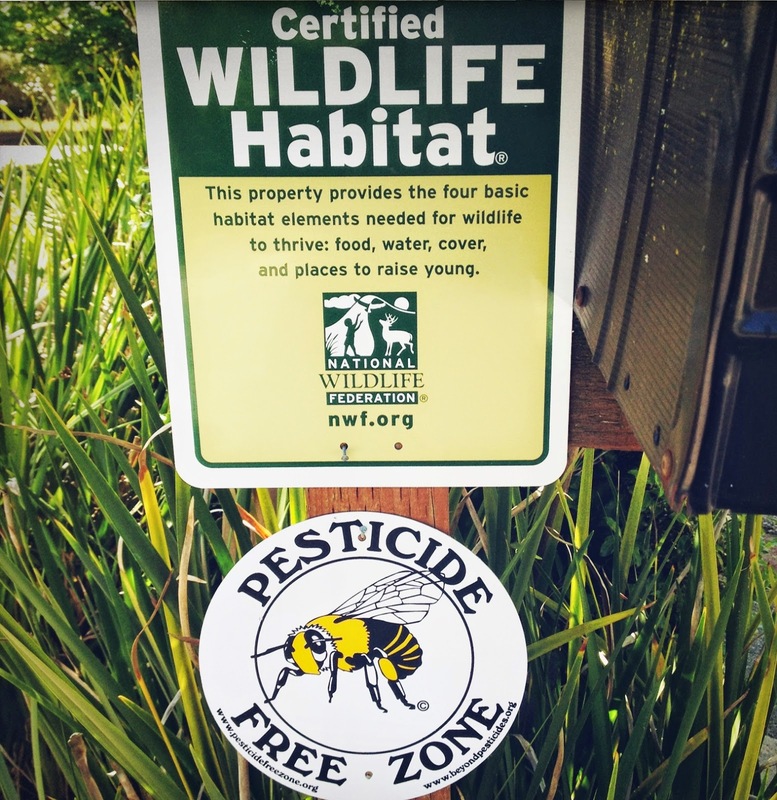 Organic cotton still takes away habitat from birds, bees and other wildlife. For a real eye opener on how the green economy isn't all that green, check out Green Capitalism: The God That Failed, but only if you've got a glass of wine and a strong stomach. What's a girl to do? We're born to shop, right? Or, more accurately, conditioned to shop. If you were raised in a Western country, chances are you've gone on a shopping spree with friends. You've felt the urge to put something new and pretty in your house or on your body. You've felt satisfaction from a full shopping cart. 1) Shop Your Closets: Visiting family over the holidays, I happened upon a scrumptious new set of Christmas china. Because doesn't everyone need one, two or even three sets of dishes for use just one week a year? Still, I was sorely tempted and our daily dishes were seriously used and abused. I might be able to use them all winter long, I reasoned. Then I had an epiphany. I moved our "good china" to daily china, my great grandmother's china to the "good china" - so now it will get used for the first time in two generations - and still have my mother's wedding china in case I need a dish fix at some point in the future. My daily dishes found a new home with a senior group at the local church and everyone was happy - including the planet. 3) Dumpster Dive: Pulling out of our driveway, we spotted a large plastic bucket for birdseed in my neighbor's recycling bin. I am not above pulling stuff out of a trash can. If you've not done it, dumpster diving is as much more of a thrill than shopping. Long story short, the birdseed bucket now helps water my bird-friendly plants, providing a new life to everyone. 4) Swap With Friends: I've yet to attend a clothes swap but boy would I like to. That said, I do pass along items that I no longer use to friends and hit friends up for short term use items, like ski clothes and evening wear. Messages zing around our school mailing list regularly asking to borrow crutches, crockpots, garden supplies. 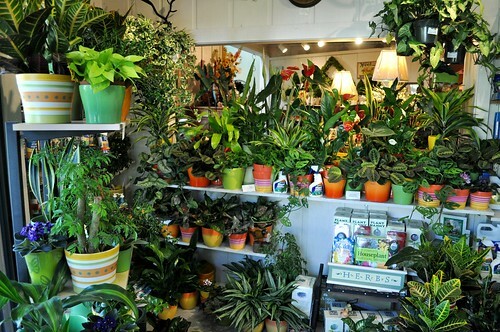 5) Farmers' Market or Native Plant Nursery Shopping Spree: There are two places where I let my inner shopper run free. My farmers' market and native plant nursery. There, I am naturally constrained by what we can eat or plant but otherwise, I figure my dollars are doin' good. 7) Use It Up, Wear It Out, Make Do, Do Without. Do you try to avoid shopping? How do you tamp down the urge to shop? The Climate Crusader is heading back to school, and finding a greener campus than the one she left behind a decade and a half ago. I recently returned to university, almost 15 years after graduating. I'm seeking a second degree in teaching, from the same school where I obtained my first degree in engineering. Being back on campus after an extended absence is an exercise in contrasts. On the one hand, many things are still the same. I'm attending class in the same lecture halls I sat in almost two decades ago, taking notes in the same sort of spiral notebook, and waiting in line in the same bathrooms during my breaks. Many of the classes themselves are the same as those offered during my first go-around, and I've recognized several of my old professors in the halls. The similarities are comforting to me, as they help ease me back into an academic routine. Other things about being back at school are different. There are new seats in many of the lecture theatres, which is actually a welcome change as the old ones were highly uncomfortable. There are new computer systems to master and even some bright and shiny new buildings to learn my way around. It's also apparent to me that the university's commitment to being environmentally-friendly has grown during my absence. Water bottle refill stations - You'll find these scattered all across campus, which is great as almost all students now carry reusable water bottles with them. Zero waste stations - Instead of 'garbage cans', you'll now find 'zero waste stations' around campus. Each station has four bins: paper recycling, other recycling, compostables and landfill. Landfill, in this case, means garbage. Local food - From late spring through October, you'll find a weekly pocket farmers' market on campus. There's also a campus harvest box, and you can order a weekly delivery of local produce. Community garden - There's a community garden on campus, as well as a learning garden where new gardeners grow, eat and share food. Fewer drivers - During my days as a young student, I didn't own a car. 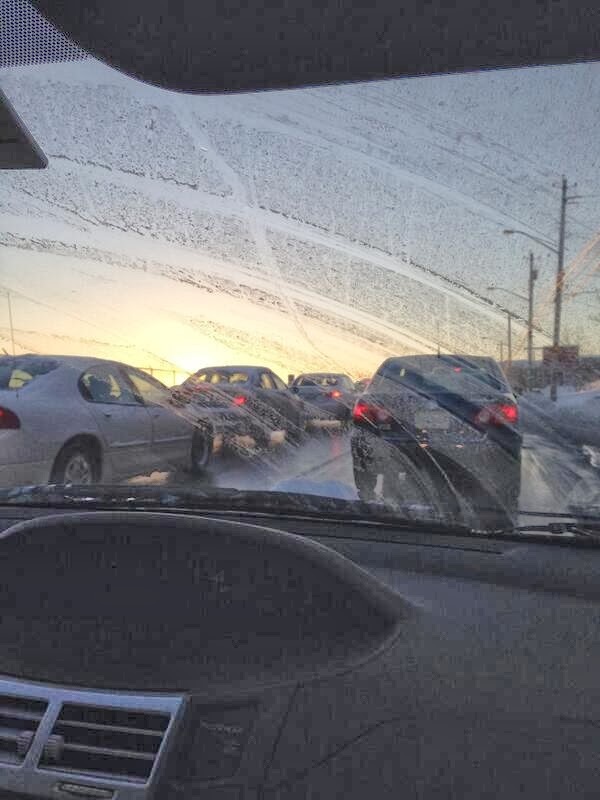 Several of my friends did, however, and I witnessed their struggles to find parking on campus. There was a long waiting list for parking, and many people weren't able to get spots. Today, however, even though the number of students has grown and the number of parking spaces hasn't, getting a campus parking pass is easy. While I drive these days because of my need to get home in a timely manner for my kids, it's heartening to me to see that more young people are opting to take transit. Less paper - While the transition to online content delivery is a little confusing to me, the result is that there's less paper being used overall. Instead of handouts, material is made available online and students read it electronically. 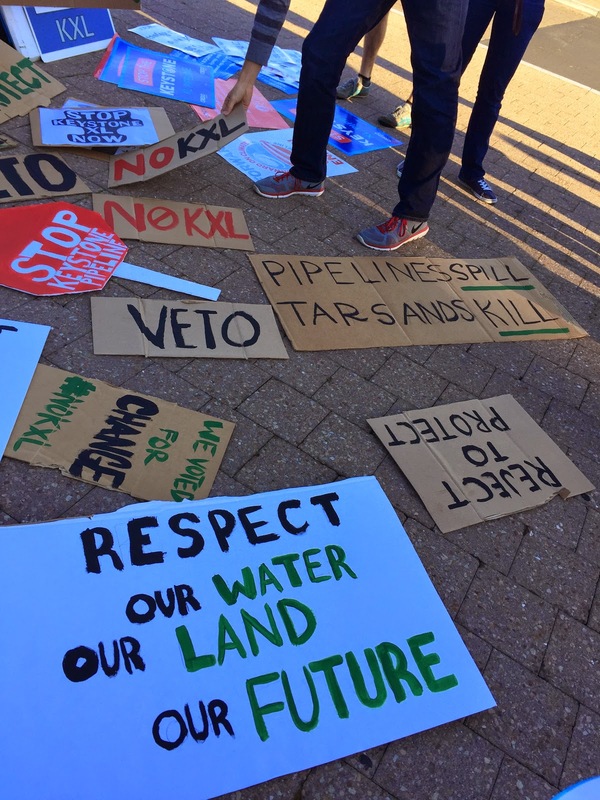 More environmental dialogue - I'm seeing more classes, workshops, events and publications around environmental themes on campus than I did a decade and a half ago. Of course, there are many other steps that could be taken. We all know that the environment is in grave trouble, and doing less printing isn't going to be enough, on its own, to get us out of this mess. All the same, I think it's a good sign that institutions like universities are taking tangible steps to make a difference. It's also a good sign to me that so many students are working hard to make real changes. I have to believe that when we all do our part make a difference, we can effect real and lasting change. 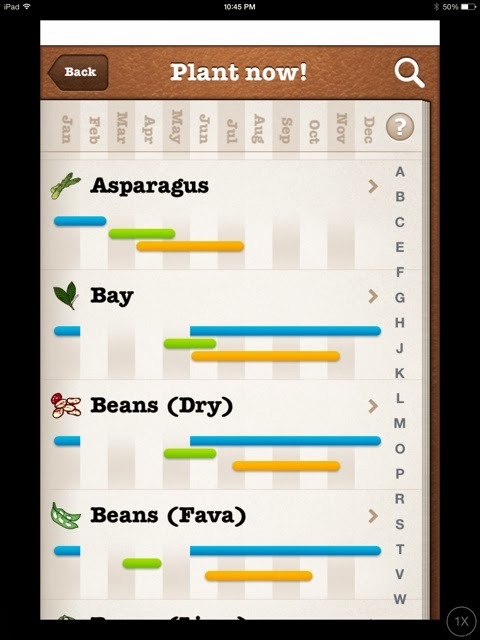 Queen Composter, an iPhone addict, is reviewing another app that encourages a green lifestyle. There are numerous websites to help plan when to start seeds indoors, transplant seedlings and direct sow seeds outdoors, based upon planting hardiness zones. I enjoy reading articles from Mother Earth News so I was curious what the app has to offer. 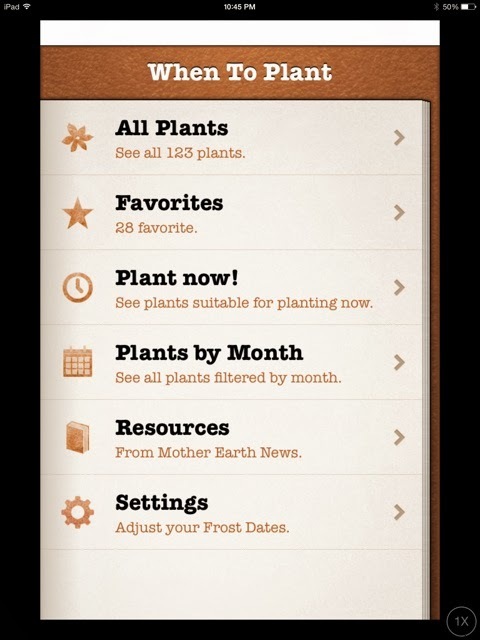 When I opened the app I was prompted to pick favourite plants in the database (123 plants listed alphabetically). It is by no means a comprehensive list, but it covers the plants that most people would be interested in growing. 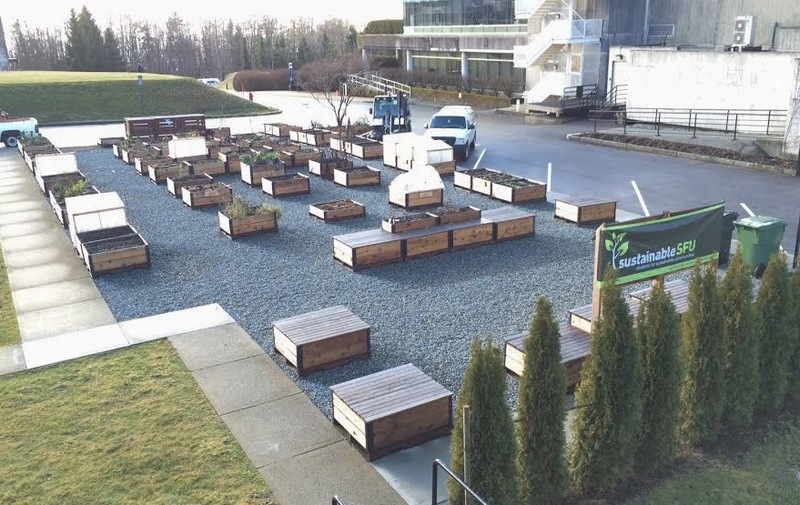 There is information about each plant, such as the soil quality, sun exposure, sowing, spacing and feeding advice, whether it is frost tolerant, and harvesting tips. On the main page there are several search options: favourite plants, plants to sow now, month by month schedules, and all plants. In the settings the app gives the option of setting the frost date for your area to help determine when to plant. 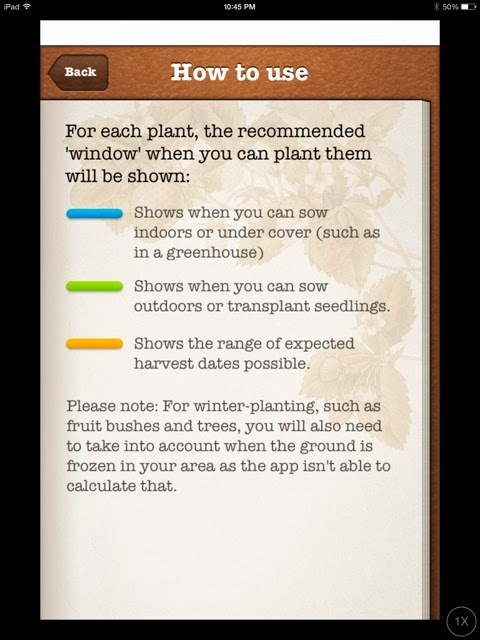 The app uses a colour coding system, with blue representing which plants can be started indoors in a given month, green representing when to direct sow or transplant seedlings outdoors, and orange representing possible harvest dates. I am a visual person and I like scanning the year with the colour system . 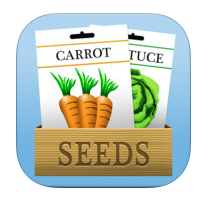 While I can find all of the information contained in the app easily online, or even on seed packets, I appreciate the “plant now!” option the most. 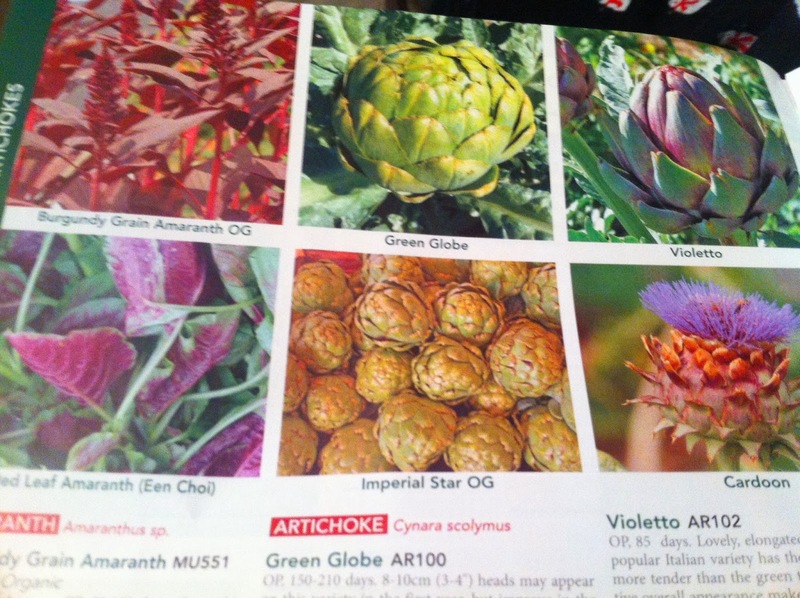 I like being able to quickly browse which plants I need to focus on in the near future. Being able to look ahead to harvest dates helps me think ahead and plan the layout of the garden beds. 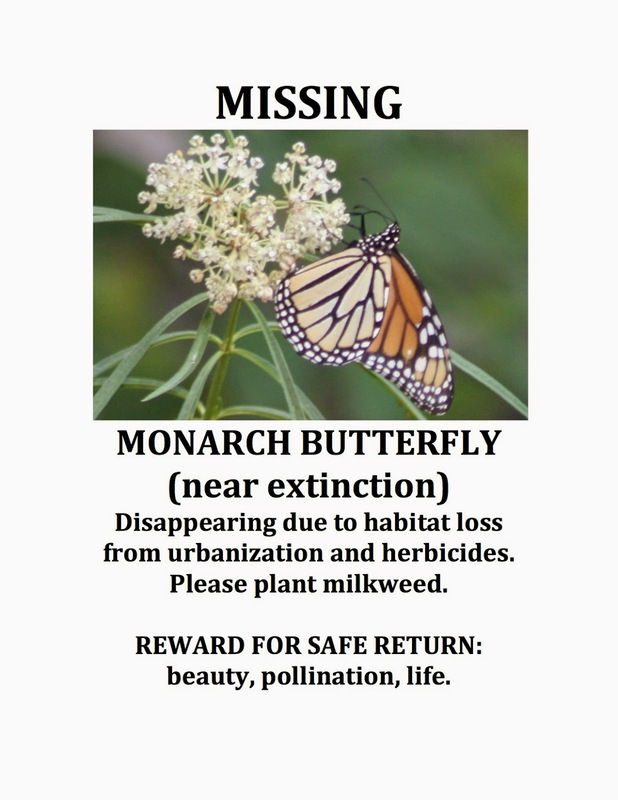 For some the app may not be useful, but I like being able to access information quickly about various plants as I research and plan my coming kitchen garden. I do feel that $1.99 is a bit steep for the app ($0.99 would be fair), but I am not opposed to paying for an app if I find it useful (I believe that people should be paid for creating content). I will be using this app in the coming months, even if just for quick reference. Why Do Starbucks Customers Drink their Coffee "For Here" in "To-Go" Cups? Recently I tweeted how frustrated I was with Starbucks customers drinking all of their coffee in "to-go" cups while seated IN the cafe. Not surprisingly, I received some defensive responses (my favourite? A very deflective self-righteous "maybe you should lead by example instead of judging others" response from a yogini- extremely unhelpful and non productive, thanks). More than anything, this response of deflective ownership of personal choices made me consider more carefully a) my knee jerk annoyed reaction, b) why this is rampant in Starbucks vs other coffee shops and c) who is to "blame" for this phenomenon? I typically avoid Starbucks as I have a few issues with their company (namely water waste, employee treatment history and slow organic and fair trade coffee use), but sometimes I need my coffee fix and there is no avoiding the 'bucks. What is shocking is how every single person sitting down in a full to the brim cafe is sitting, leisurely enjoying their Starbucks out of a disposable cup. Andrew and I drink coffee from local shops frequently throughout the week where the polar opposite is true: the majority of customers are drinking out of porcelain mugs. I'm sure part of the reason is the type of customer who frequents Starbucks vs a smaller more environmentally conscious cafe. Perhaps it's just that us granola crunching customers demand more often to drink out of mugs? Except... have you ever tried to order "for here" at Starbucks? Unlike smaller, more environmentally conscious cafes who actually ask the customer if they'd like their coffee "for here or to go? ", Starbucks baristas automatically pulled the to-go cup while you order and before you can say "STOP" start scribbling on the paper cup. There is no "do you want that for here or to-go?". Often I have placed my order and have had to concede to the paper cup because the barista already started writing (and would have thrown it out). Or, I placed my order and the second "prepping" barista grabbed a to-go cup instead of the mug. I quickly learned that I had to start with: "I want mine in a mug please" before I even begin to place my order AND I have to keep a close eye on the prepping barista to make sure they grab a mug. Further, it's happened several times that there just weren't any mugs available.... It would appear that Starbucks just aren't equipped to provide enough mugs for a full cafe of seated customers. So. Now I start my order with: "Do you have any mugs available? May I have my coffee in a mug please?". Perhaps you've already seen them? The cheap, plastic 1$ cups are being touted as Starbucks main solution to my "to-go" gripes. I find this "solution" to be sadly inadequate, unoriginal and honestly half-a#$'d on Starbucks behalf. Why? The cups are made from plastic- which we know that plastic chemicals leach more readily into heated beverages. They are made in China (which means they are shipped to the US and Canada via polluting transportation AND we have no idea the work conditions of the workers). Really, the cups are more of a marketing sham than anything (read this report on how Starbucks will make money from these cups). Come on Starbucks- you can do so much better! Training staff to always automatically ask "for here or to-go?" Tell me- have you been shocked by the number of "to-go" cups sitting at café's? What have your personal experiences been trying to order in a "for here" mug? Do you think the plastic cups are an appropriate response? Mindful Echo shares the pros and cons of her current living situation. Last week Eco Yogini shared the fabulous news of her new digs. I'm so happy for her and am totally jealous that she's getting to move someplace with so much outdoor space. I've moved around a lot (A.LOT.) and have lived in most types of environments; from suburbs to urban cores to student ghettos and beyond. I can say with absolute certainty that country living is my absolute favourite. Unfortunately for me, it's going to be a while before I'm livin' the dream. In the meantime, my partner and I decided that our first home purchase would be urban as it fits best with our current lifestyle. In the bustling metropolis that is Halifax, Nova Scotia, urban living means being on the peninsula; that's where the downtown core is located. It's also fairly walkable and bike-ride-able, which is fortunate because my partner works close to the innermost edge of the peninsula and I work just off the highway on the interior - making ride-sharing impractical. A couple of summers ago we bought a flat on the main level of a two storey house. It's technically a condo, which we share with tenants on the upper floor and one in the basement. It's an interesting set-up as the "condo corporation" consistent only of us, the inhabitants. We have semi-annual meetings to discuss repairs and divide labour, and we pay monthly condo fees to cover the costs of heating, upkeep, etc. At first I was totally enamoured with this commune-style living. I absolutely adore the idea of sharing space and responsibilities with other families. 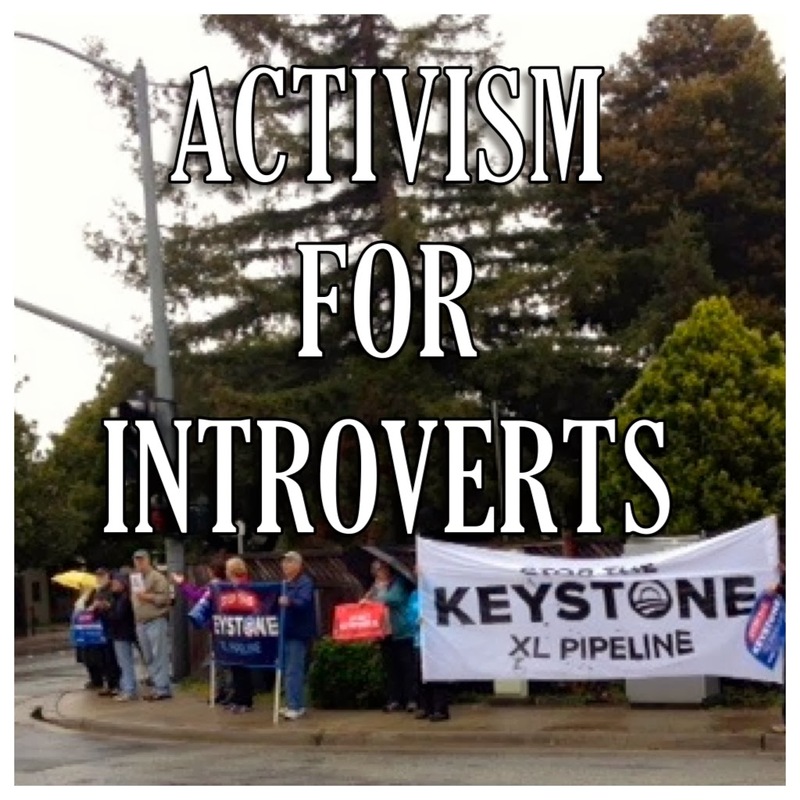 Resource-sharing is a great way to build community as well as protect our gentle earth. I also love the idea of living in only the space we absolutely need and, although we have a decent amount of indoor space with just over 800 sq. ft., it's probably the minimum I could deal with for two people, two cats, and a dog. As for the yard though, our outdoor space is tiny and forces us to take advantage of our local parks when we need green space. The bonus of a small lawn also means that we can make do with a manual push mower - no gas needed! 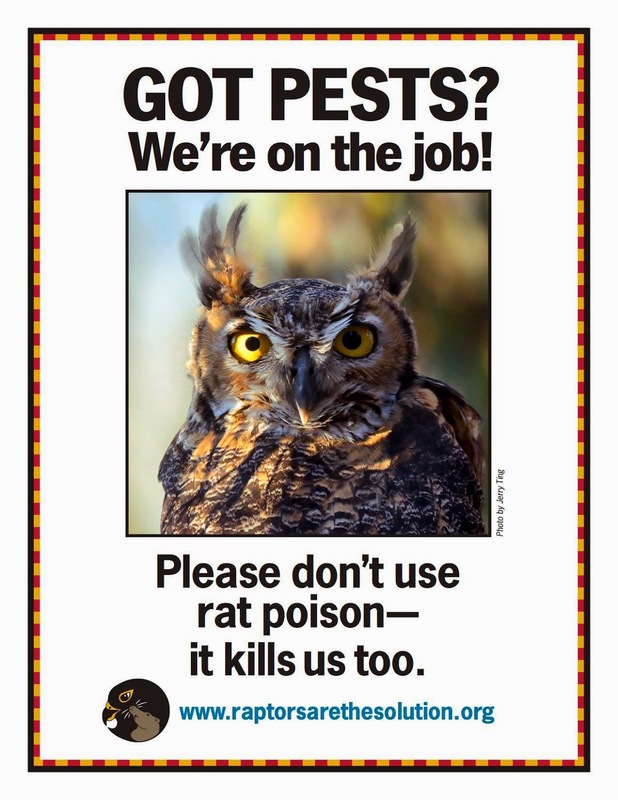 To be clear, despite the environmental benefits, this living situation is not for everyone. In fact, I'm often reminded that it's not really for me either. It didn't take long before my idealistic dreams withered away as I was awakened to scheduled yardwork, noise restrictions, and a grumpy downstairs neighbour. Still, I'm grateful for the opportunity to live small in the city. How do your housing choices contribute or facility your green lifestyles? Feel free to share in the comments! We Talked About Tea ... but What About the Kettle? The Climate Crusader realizes that plastic is everywhere. In early December I wrote about the concerns with many conventional teas, in Tea You Can Feel Good About. I suggested buying organic, loose-leaf teas, and brewing them in glass or stainless steel. However, just this evening, as I put some water on to boil it occurred to me that while I'm using a glass and stainless steal teapot, my electric kettle is made of some type of hard plastic. If we don't want to brew tea in plastic, do we really want to boil water in plastic? Probably not. When plastic is heated, it's more likely to leach potentially harmful chemicals. That's not exactly tasty. Of course, I could get myself a stainless steel stovetop kettle, like my mom used when I was a kid. However, there are downsides to that as well. The biggest one is probably the amount of energy used. Electric kettles are actually very energy efficient - typically 90% or higher. I remember testing one in high school physics, and it came out at 93% efficiency. Heating water on my electric range is considerably less efficient. 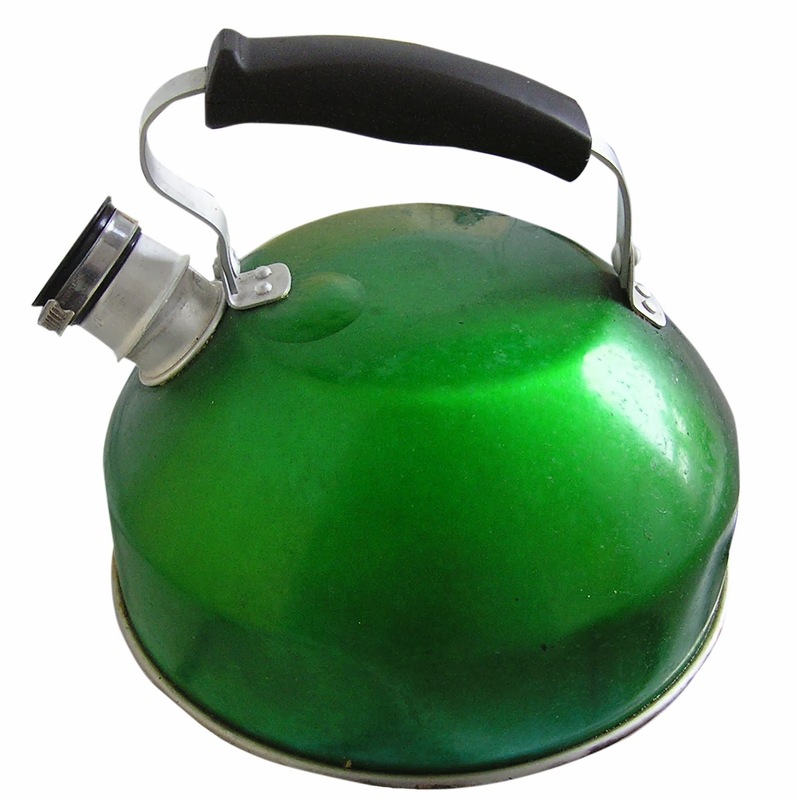 There are glass and stainless steel electric kettles available. Unfortunately, many of the stainless steel kettles still contain plastic windows so that you can see the water level. As well, these options are considerably more expensive. I drink a lot of tea, though, so investing in a kettle I feel good about makes sense to me. I just want to be sure that I'm spending my money wisely. This is why I'm turning my questions back to you, now - how do you boil water for tea? When you choose a kettle, do you look for safe materials, energy efficiency, price, or something else altogether? I want a cup of tea I really can feel good about, and I need your help! Queen Composter has intentions (please don't call them resolutions) for her coming garden. 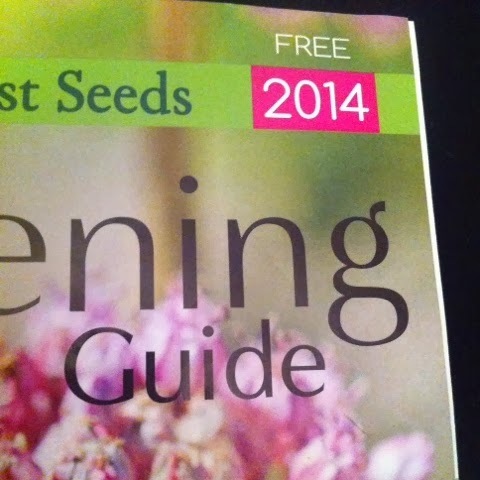 In the last week of December I received a 2014 seed catalogue from a local seed company, and when I saw it my heart skipped a beat. This means that I can begin to think about my garden for 2014 in earnest. I can dream about what I will grow in my new garden. It may seem early to be thinking about the coming growing season, but many seeds can be started indoors in late February or early March, and last year I missed the window for some of the early varieties. The new year naturally is a time to reflect on the year that was and look ahead to goals and plans for the coming year, but I don’t like to make specific and definite statements because I feel like a failure when I don’t follow through. Instead, I like to have intentions, which at least in my mind is different from resolutions. 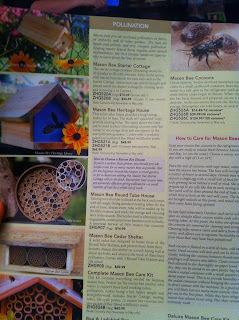 We all know how important bees are, and I would like to try having mason bees in my backyard, to be good for the environment and for my garden. 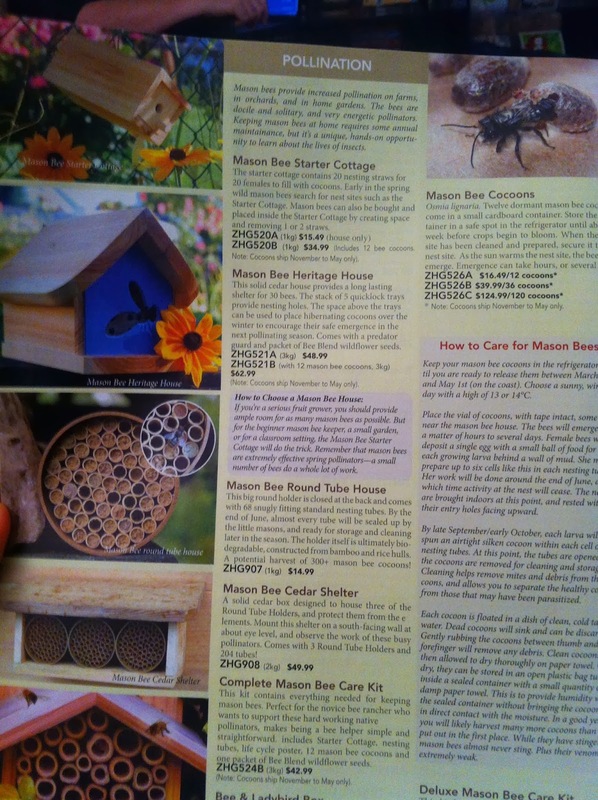 Mason bees are a species native to North America and are not susceptible to colony collapse disorder. They do not sting, are solitary bees and do not produce honey, but have a higher pollination rate than the more familiar honey bees. I would like to increase the amount of food that I can grow by adding in more container gardening and by taking over some of my flower garden. I do not have success with flowers because I have little patience for the finicky care that some require. I would rather save my energy for growing my own food. Having said that I don’t enjoy flower gardening, I would like to learn more about companion planting and the flowers that encourage growth and health of vegetables. I have had pollination issues with my squash in the past and I hope this, along with the mason bees, will help. I would like to be honest with myself about the foods we actually eat and grow more of these. It is fun to grow interesting and exotic plants but I would like a productive garden. I grew quinoa last year, and while we enjoyed the greens throughout the season, I only harvested one large bowl of seeds. The effort was not equal to the output. Even though I don’t want to waste my time with more unusual plants, I do want to lave some space in my garden for new vegetables. 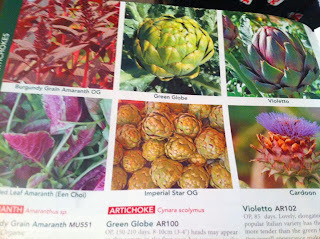 I would love to try growing artichoke (which needs a large space per plant), and I hope to set aside some space for asparagus (which requires two growing seasons before harvesting). Lastly, I would like to make use of on line planning sites and read more about organizing my garden so it is less haphazard than it has been in the past. 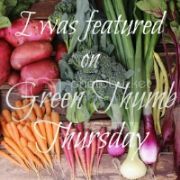 For example, I need to stagger my planting times so that I have a continuous harvest of some vegetables, such as beets, greens and carrots. Are you making any plans or resolutions for 2014? Have you begun thinking about your garden? 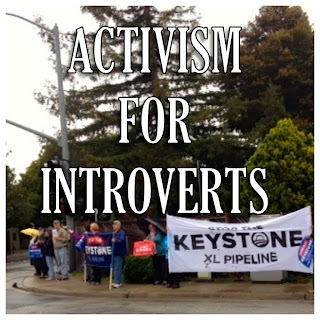 Eco-novice reflects on her 2013 green goals.